Paradise awaits. 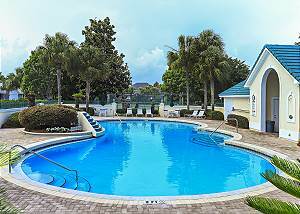 This 2 bedroom condo is less than a 5 minute walk to the beach, the pool, the fitness center, tennis courts, golf courses and dining. 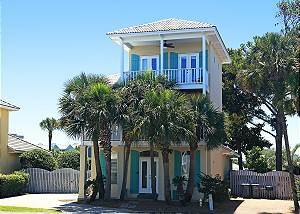 This comfortable vacation home is located in an exclusive neighborhood that is just off the beaten path and yet in the heart of everything Destin’s Emerald Coast has to offer. It's a short distance to the beautiful beach access, restaurants and shopping. 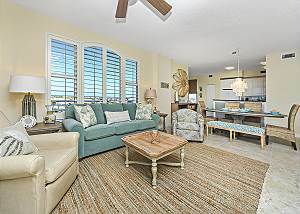 Beautiful 3 bedroom 3 bath condominium residence located on the fourth floor. New furnishings. Great views. Sleeps 10! Great vacation spot in a premier community. Close to pool! Sleeps 8: King, Queen, 2 Doubles! Call today for Spring Specials! 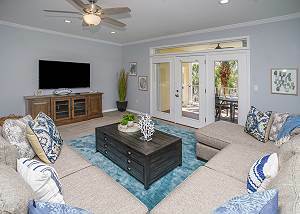 Relax in paradise with a cozy, comfortable condo that offers you free beach service when you book. Great cottage for 8! Close to the pool and the beach. Tennis too! 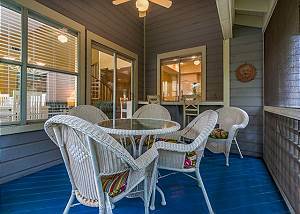 This ground floor beach cottage sleeps 4 with King and Queen Sleeper Sofa. 2nd Floor Beach Cottage sleeps 8: King, Queen, Twin(2), Queen Sleeper Sofa.